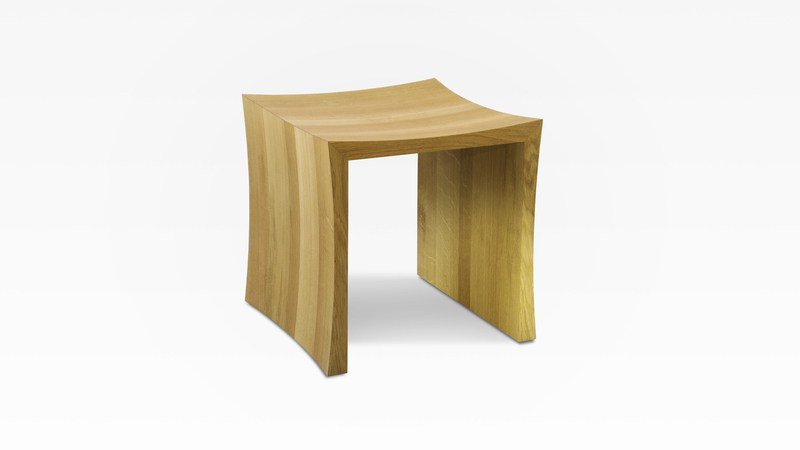 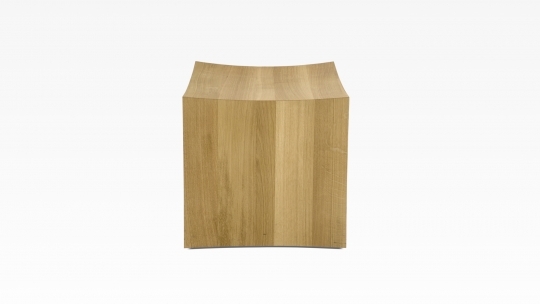 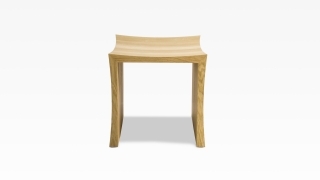 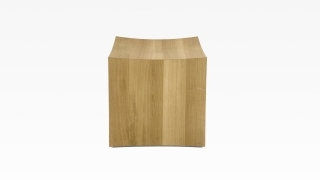 Stool with a shell-shaped seating in solid wood. 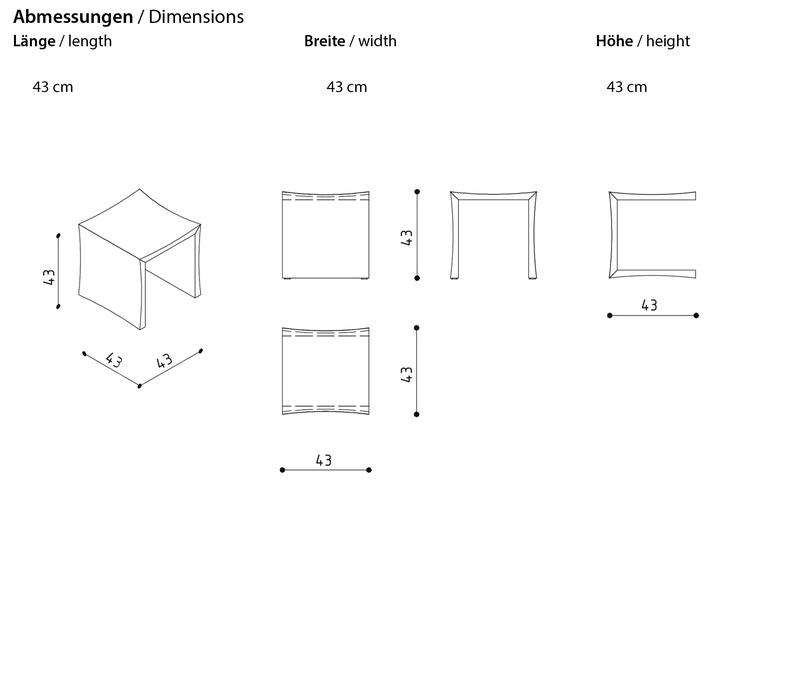 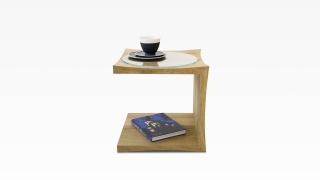 The TERA-U can be used as a side table in vertical and horizontal positions. 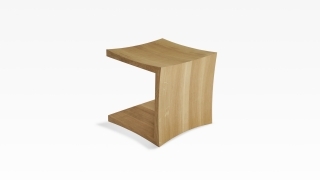 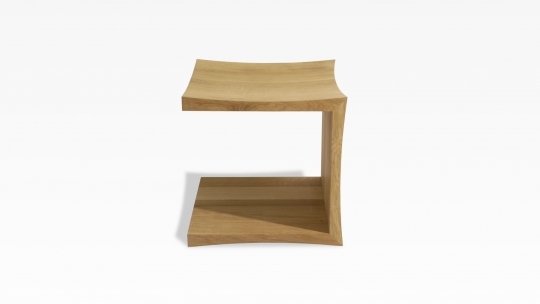 In horizontal positon the stool becomes a side table with a little bockshelf. A matching circular or square plate in glass or stone serves as a table top. 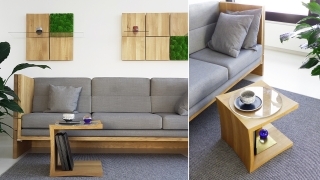 It can also serve as a base of a coffee table with a largerglass plate. Recommended is afinish in oiled oak.